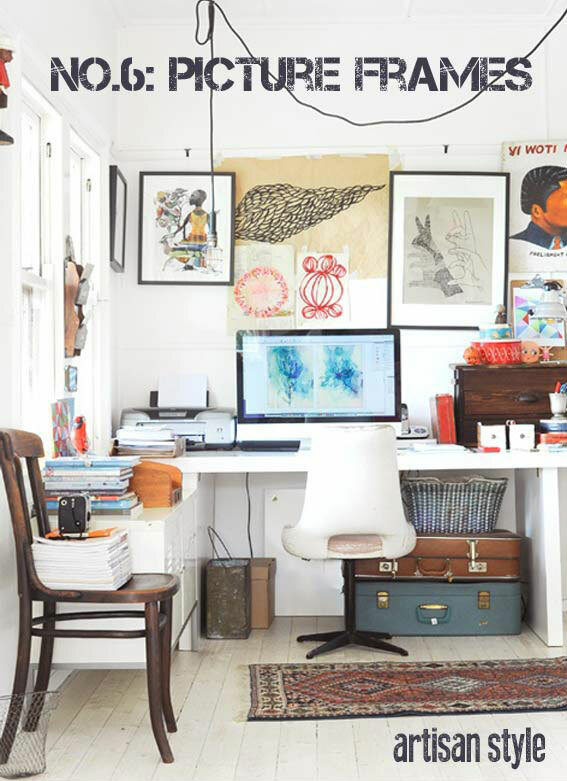 Like rugs, picture frames can be placed over larger surface areas to create a focal point by adding colour, texture and pattern. In terms of layout, the potential can be endless - you can group frames together, place them individually or stand on a flat surface. My favourite method of displaying picture frames is to lean them on a shelf and slightly overlap each frame to create a layered effect. 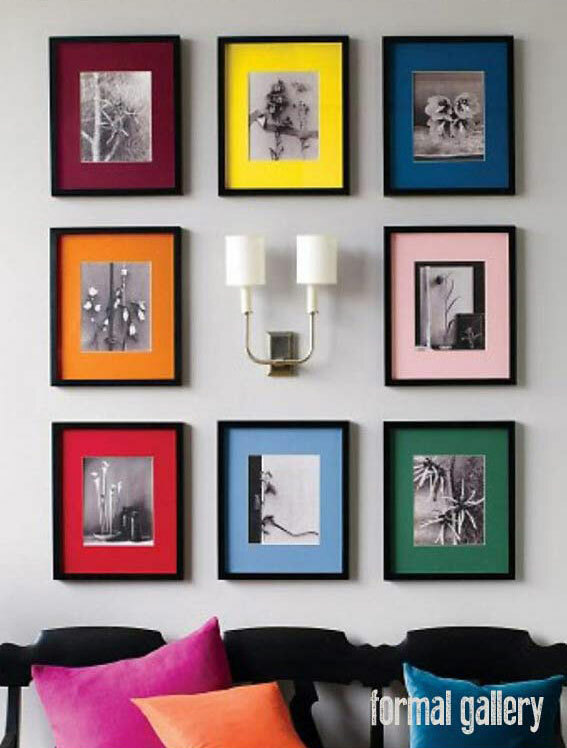 If you are unsure how or where to place your frame(s), why not have fun experimenting with different layouts until you find the look that best suits your room? Frames also share the same handy potential as rugs because they too can help to cover-up those out of favour surfaces such as wallpaper or perhaps some uneven plasterwork, which you may not be able to replace right away. If you are working from a strict budget then I strongly recommend a visit to IKEA - as with most of their interior ranges, they offer a huge selection or great value frames and posters. 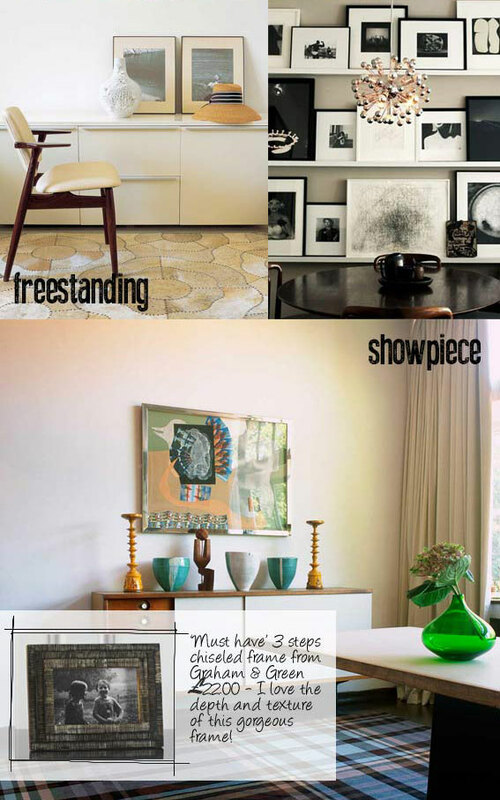 Why not tell me about your favourite ways of displaying frames in your home?